King Arthur, Cheddar cheese, Agatha Christie and cider: the south-west of England has been home to many of Britain’s cultural treasures. It also hosts a number of antiques events throughout the year, where savvy buyers can source a few treasures of their own. From a variety of shops and centres to its wealth of auction houses, it is an ideal place to find that certain something to brighten the home or add to the collection. Here is a selection of objects and events to look out for in November. This massive antiques fair hosts 600 exhibitors in four halls in the Royal Bath & West Showground. The weekend fair has its next staging – the last of the year – from November 9-11. A destination for the trade as well as private buyers, it is a source for collectables, antiques and vintage. Walton House Antiques hosts its Christmas party on November 10 from 11.30am-7pm in its 2500 square foot Wiltshire showroom. Live music, sparkling wine from Yapp Bros and canapes are all on offer, as is a wide selection of antique furniture, clocks, glass and works of art. The day features a talk by Richard Price of BBC’s Antiques Roadshow on his collection of French gilded 19th century clocks at 3.30pm. There will also be a prize draw which includes an antiques games table and set of 19th century Kronheim prints. Among the pieces on offer at the showroom is this c.1840 French bronze and ormolu mantel time piece, which is signed Dehne a Paris. 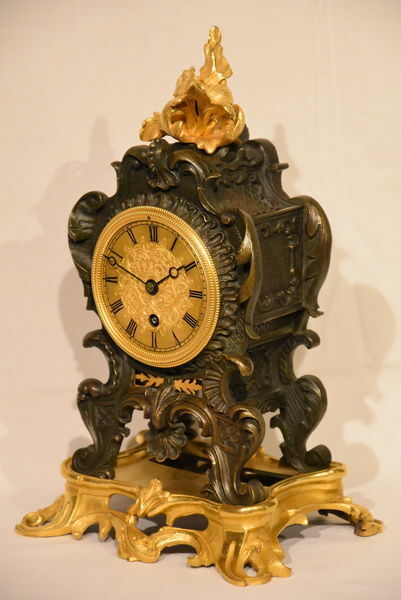 It features a silk suspension movement and a gilt dial in a scrolled waisted case on integral rococo scrolled base. It is offered for £2650. This striking 19th century Astor & Lucas English barrel organ features in Lawrences Auctioneers’ Collectors, Sporting & Textiles sale on November 16. German-born maker George Astor was born to a poor family and emigrated to London in the 1770s, where he established a business as a flute maker with his brother John and then diversified into making and repairing church and chamber organs. This example is believed to date to c.1807-11. It has an estimate of £1000-2000. 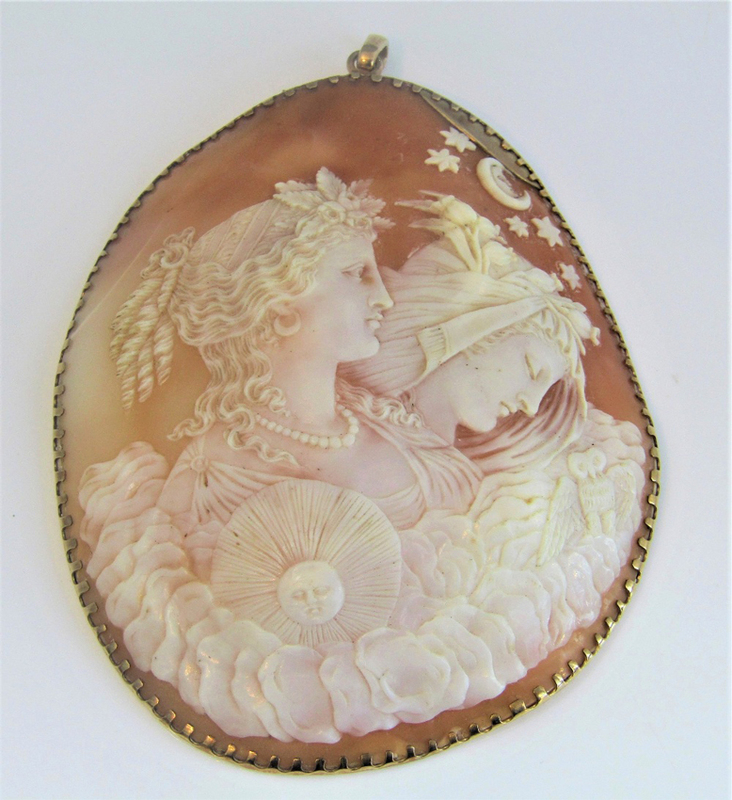 This substantial and fine shell cameo is a classical study of two female figures with clouds, sun and moon, an owl and stars in an unmarked pendant mount. It measures 4in (10.5cm) and has an estimate of £400-600. It is part of Wotton Auction Rooms' sale on November 20, which includes a collection of jewellery and the Fosbrook N Gauge continental model railway collection. Gray MCA, a special dealer in fashion illustration, design and modern textiles, opened a new home in Bath earlier this year. Located between the Royal Crescent and The Circus, it showcases fashion illustration from its heyday in the 20th century right up to contemporary works. Among the pieces featured recently is René Gruau’s Lèvres Rouge, a gouache on paper that had an estate stamp verso.